Pictorial/Heraldic-style bookplate with patterned border and crest in center with castle inset and blackbird above. 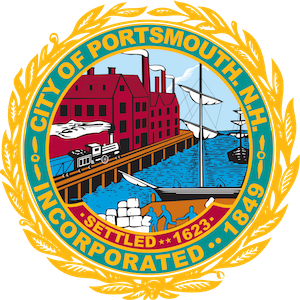 Banner below crest reads “Laus Virtutis Actio" which translates to "and virtues." 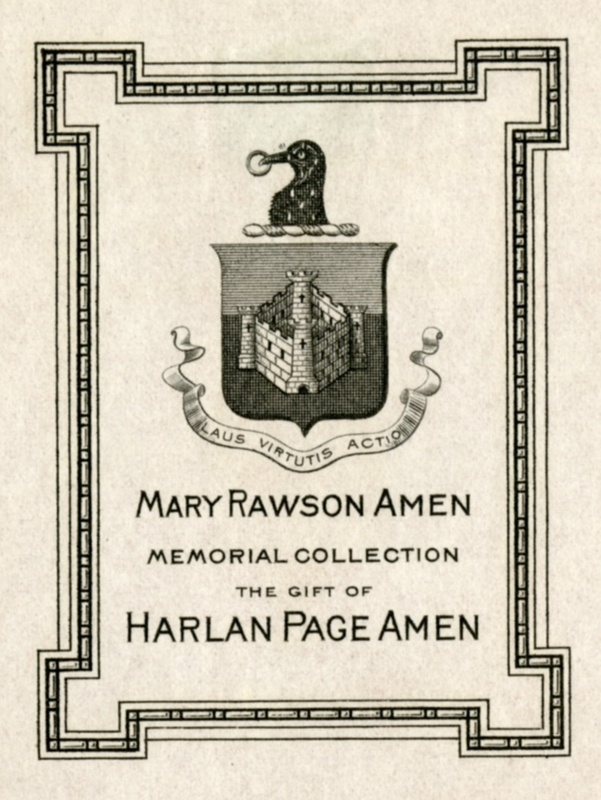 ~ Unknown, “Mary Rawson Amen Memorial Collection, the Gift of Harlan Page Amen,” Portsmouth Public Library's Online Archives, accessed April 21, 2019, http://portsmouthexhibits.org/items/show/1868.